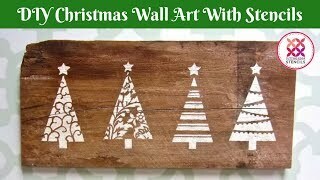 Transform your wall into a sight to behold with Cutting Edge Stencils Mountain Pine Mural Kit! 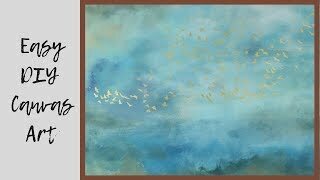 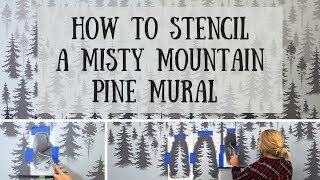 This amazing Mountain Pines Mural Stencil Kit helps you to easily create a beautiful forest mural using simple painting techniques. 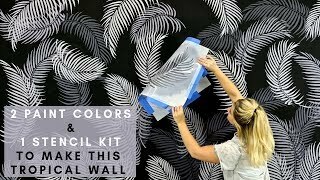 Kit contains 5 various pine trees, which can be randomly placed on a wall and stenciled repeatedly for desired "forest" effect. 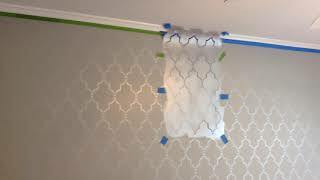 We love greys, beiges and subtle greens for this project. 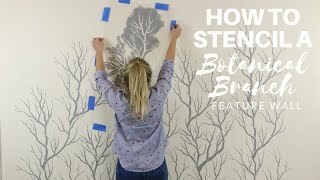 Place smaller and lighter trees toward the top of the wall, and largest and darkest trees closer to the bottom of the wall as if they are on the foreground. 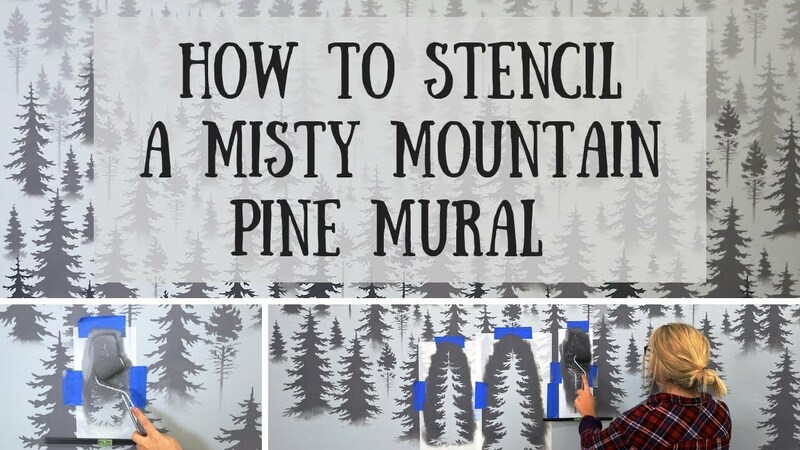 For a "misty" effect, stencil only the tops of the trees fully and barely shade the bottom parts of the trees, as if they are hidden in a mountain mist. 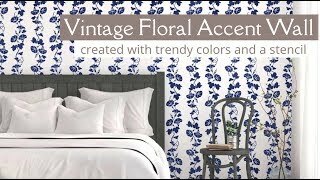 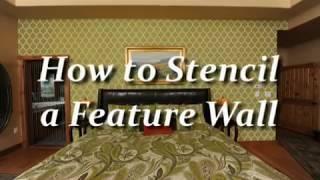 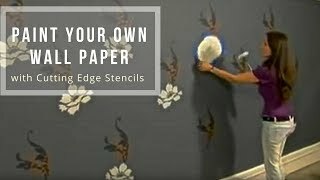 Stenciling a wall is way easier, and most cost effective, than applying annoying, expensive wallpaper. 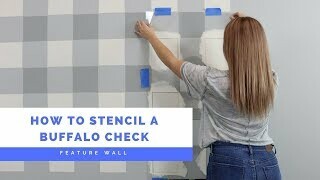 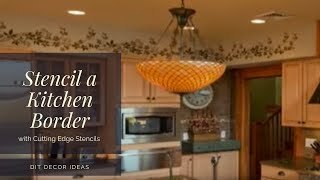 How To Stencil A Buffalo Check Pattern Without Using A Ton Of Painter's Tape! 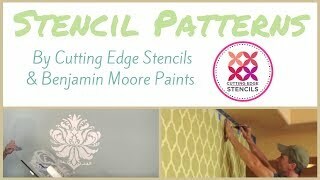 Nursery Transformation With Stencils by Cutting Edge Stencils and Modern Masters' Paint! 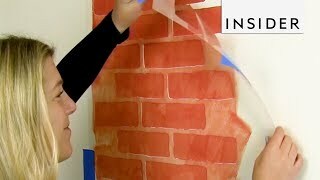 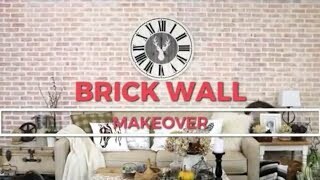 Easy Farmhouse Brick Wall Created Only Using A Stencil! 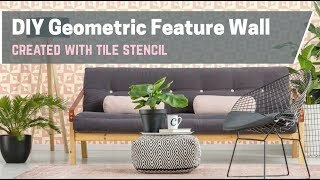 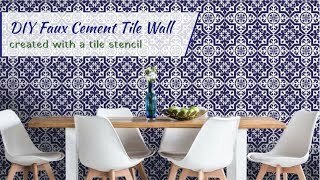 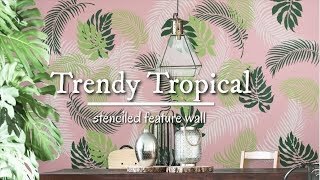 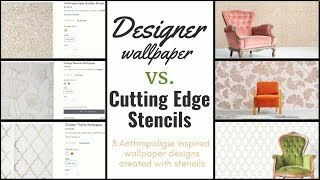 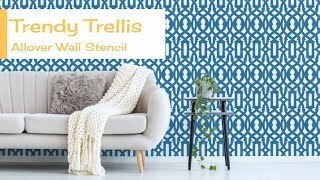 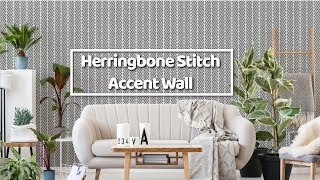 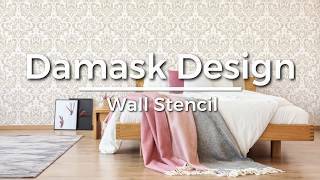 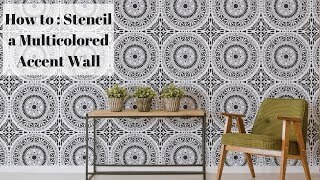 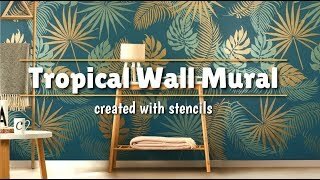 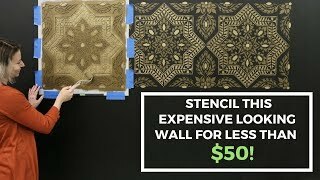 How to Create a Budget Friendly Feature Wall Using a Stencil! 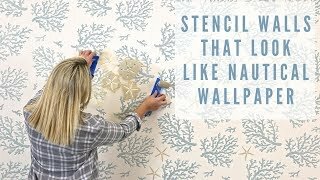 Dining Room Wall Stencil DIY Project! 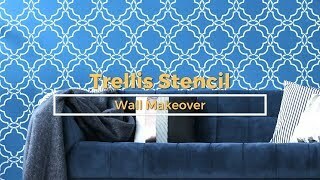 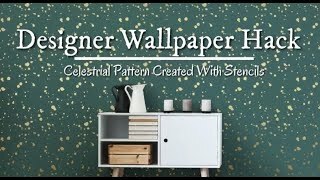 Stencils: Paint your own Wallpaper with Stencils by Cutting Edge Stencils. 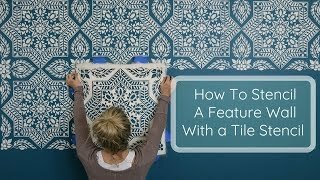 DIY wall decor. 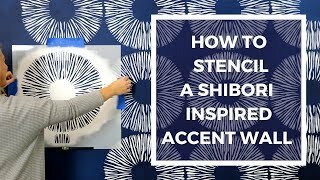 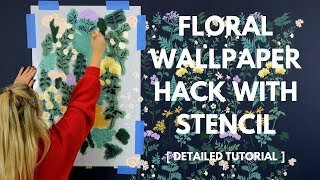 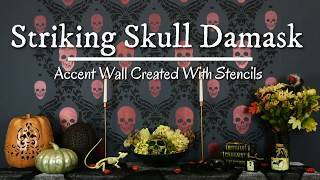 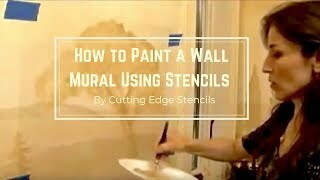 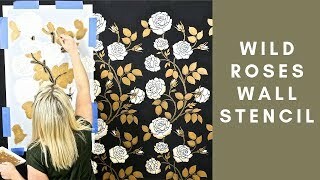 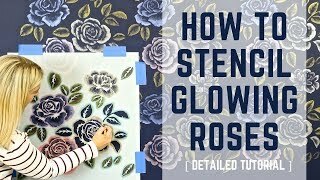 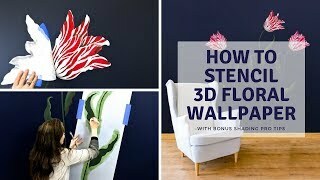 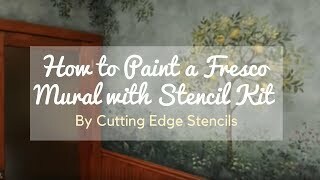 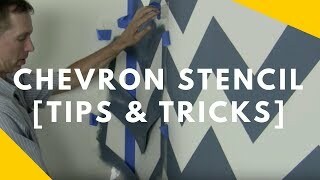 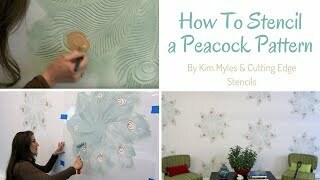 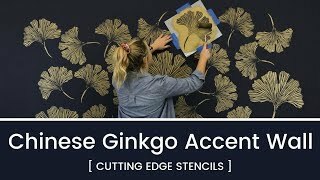 How to Paint a Mural Using Stencils by Cutting Edge Stencils. 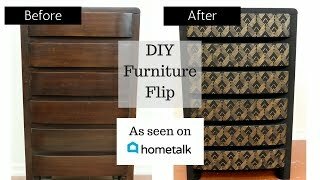 DIY decor ideas. 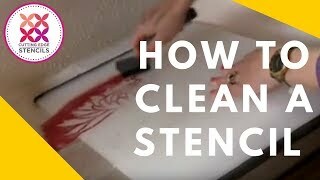 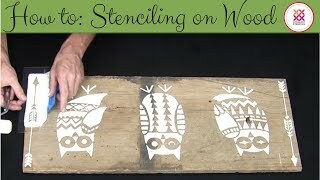 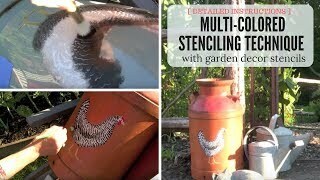 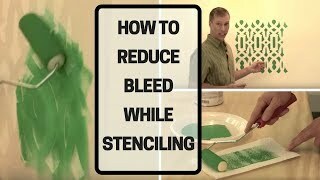 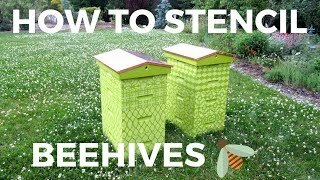 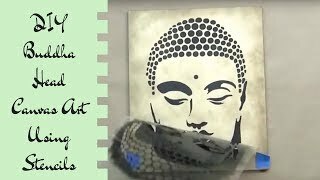 Stencils: Learn How to Stencil by Cutting Edge Stencils. 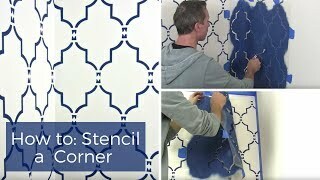 Wall stencils for DIY decor. 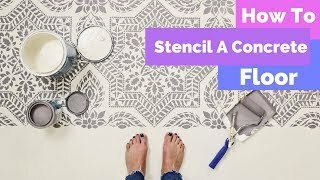 How To Makeover a Concrete Floor Using a Stencil! 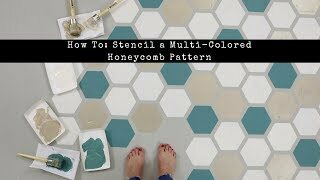 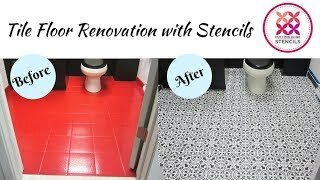 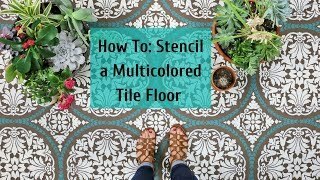 Tile Stencil Floor Transformation Using Multicolor Technique! 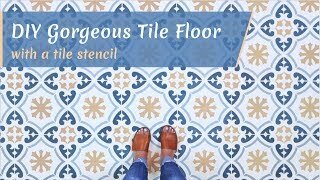 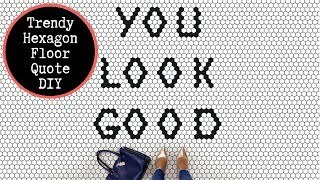 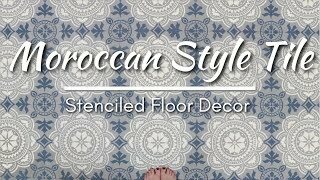 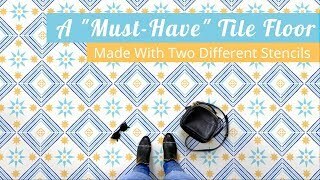 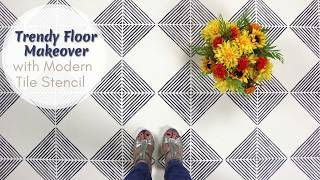 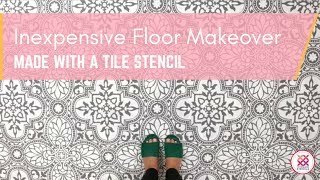 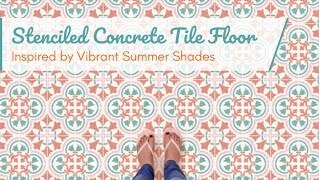 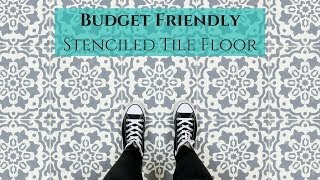 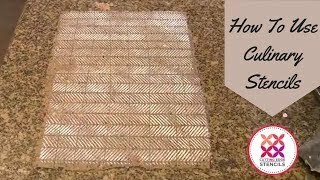 How-To Stencil a Pinterest-Worthy Tile Floor For Under $100! 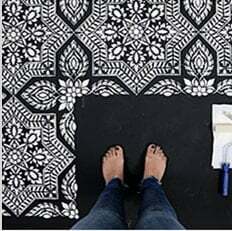 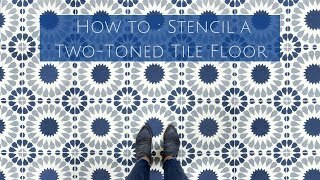 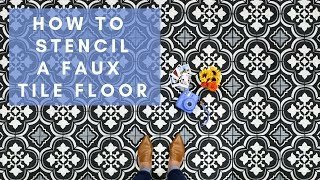 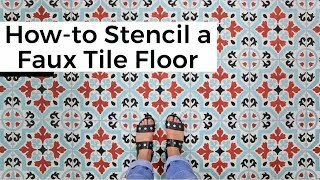 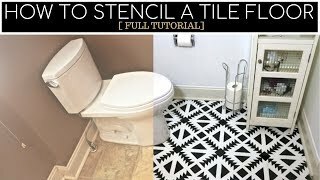 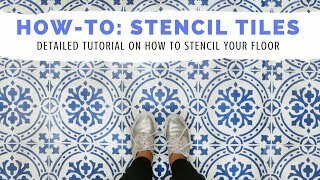 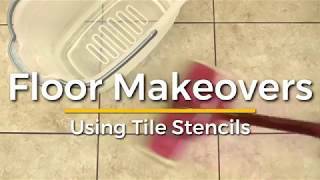 How-To Transform Your Tile Floor Only Using a Stencil! 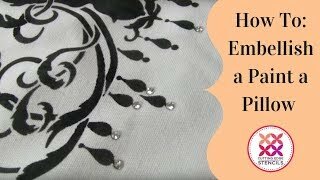 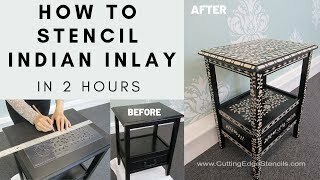 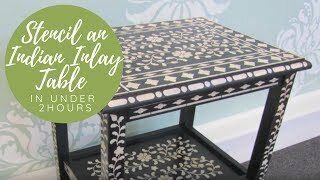 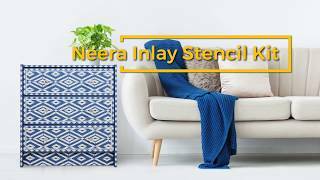 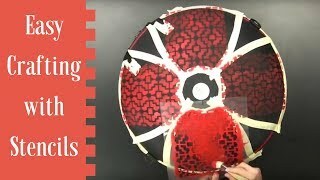 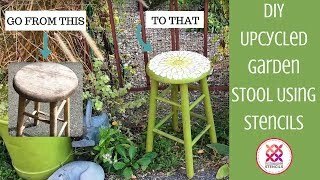 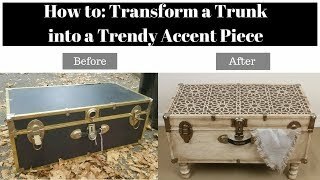 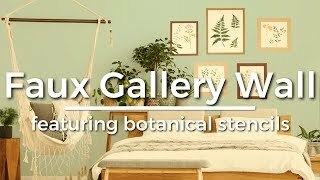 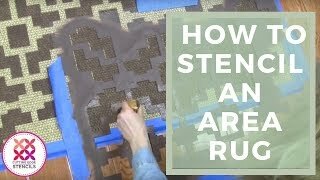 How To Stencil Bone Indian Inlay Furniture In 2 Hours! 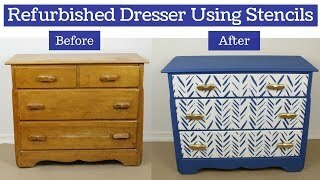 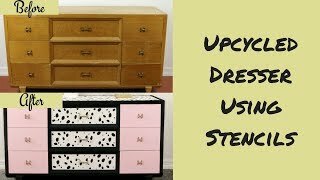 Funky Dresser Transformation Using Only A Stencil! 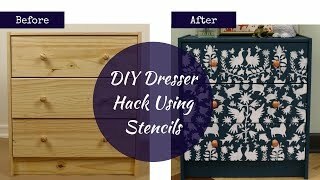 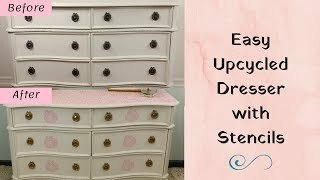 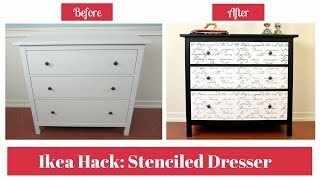 How to Makeover A Plain White Dresser Using Stencils! 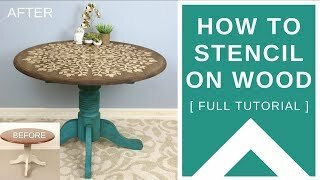 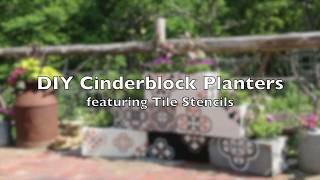 Stunning Table Makeover with Tile Stencils! 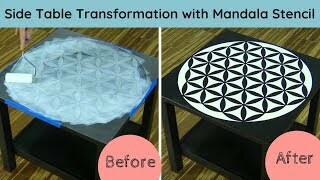 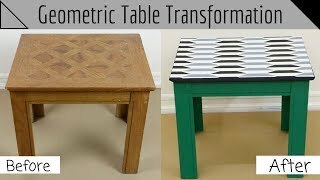 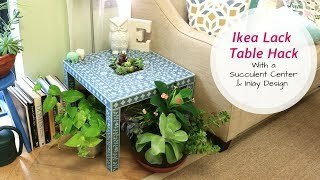 How-To Makeover Your Old End Table Into a Modern Geometric Table Using a Stencil! 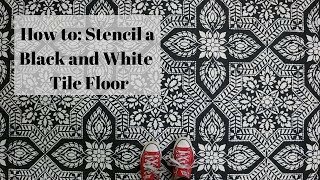 How To Affordably Makeover an Ikea Dresser With a Gorgeous Otomi Stencil! 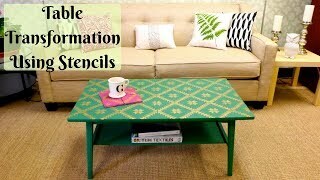 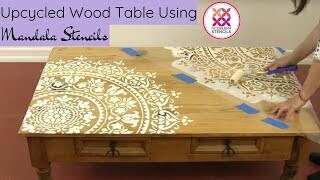 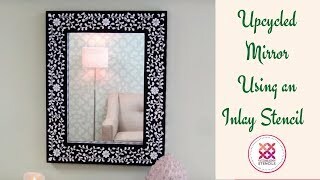 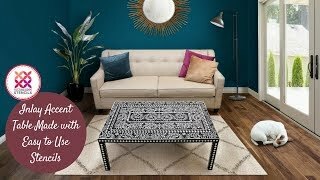 How to Get an Anthropologie Look On Your Furniture Using an Indian Inlay Stencil! 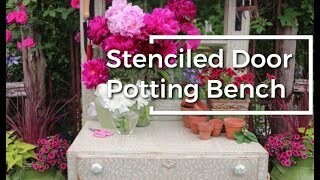 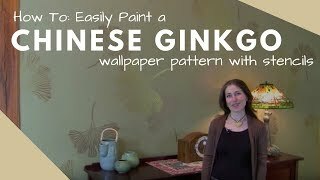 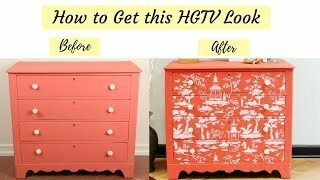 A Chinoiserie Stencil Furniture Makeover That Even HGTV Couldn't Resist Using! 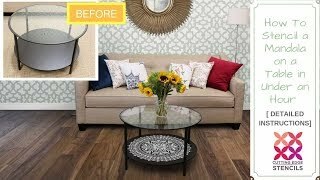 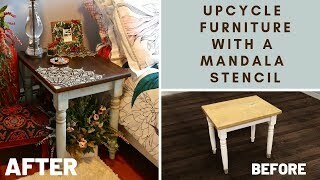 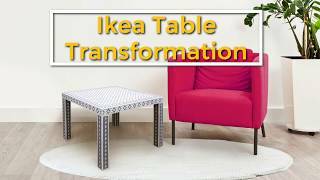 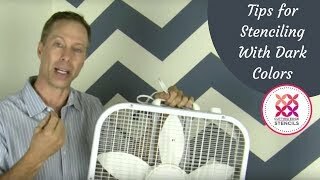 Furniture Makeover Tutorial: Classic Wood to Dramatic Deco Using a Stencil! 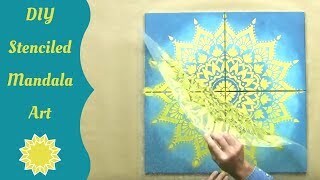 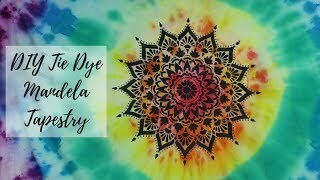 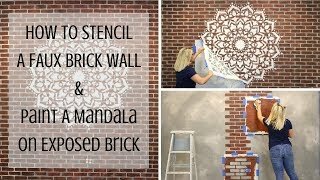 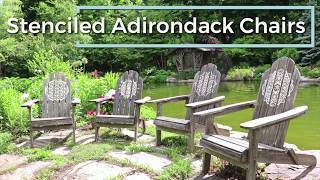 How To Stencil A Deck Or Floor Using A Mandala Stencil! 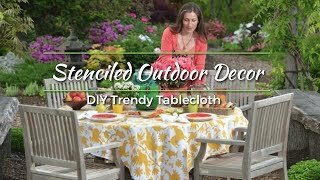 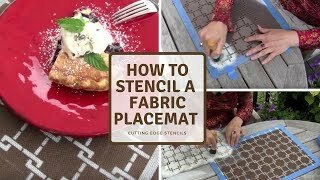 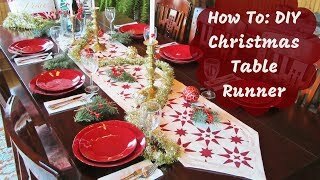 Create a DIY Table Runner Using a Stencil in Minutes! 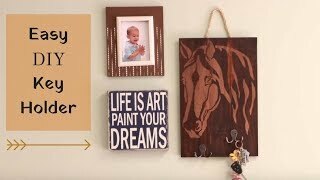 Easy DIY Farmhouse Horse Key Holder in Under an Hour ! 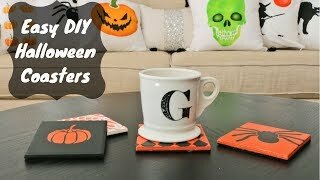 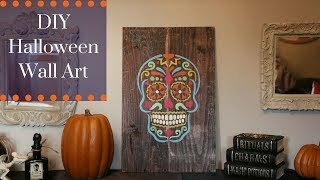 Easy DIY Festive Halloween Coasters in Minutes! 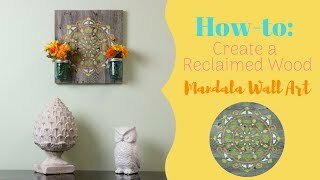 How to Create an Reclaimed Wood DIY Mandala Wall Decor with Mason Jars! 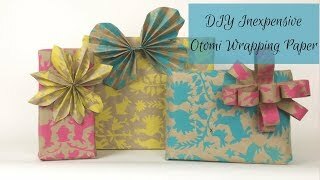 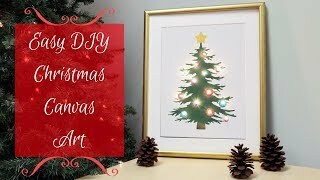 How To Stencil a Light-Up Christmas Tree Canvas in Minutes! 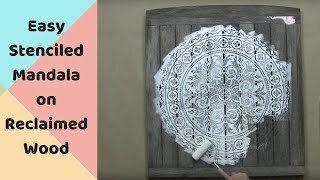 Gorgeous Easy DIY Wall Art Using a Stencil! 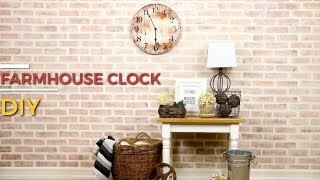 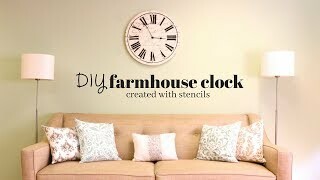 Make a Gorgeous Farm House Clock Using Stencils! 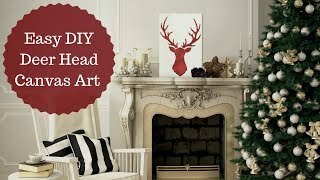 Easy Holiday Reclaimed Wood DIY with Deer Head Stencil! 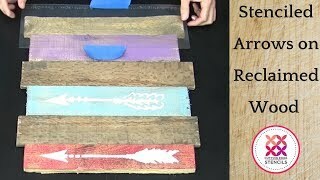 DIY a Arrow Stencil on Reclaimed Wood For The Perfect Wall Art! 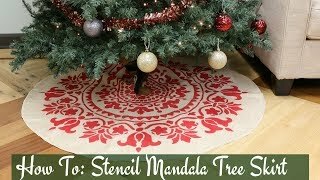 Holiday Decor Made Easy with Christmas Tree Stencils! 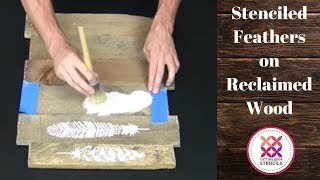 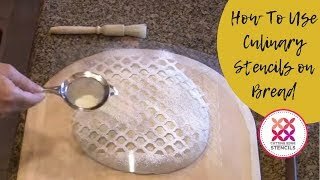 How To Stencil Bread With Culinary Stencils! 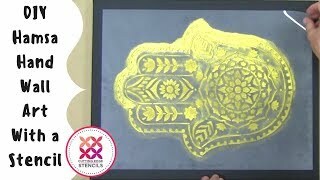 Ethnic Shipibo Stencil Design For DIY Stencil Projects! 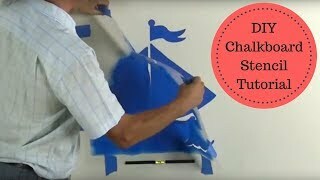 Paint-A-Pillow! 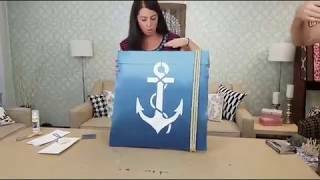 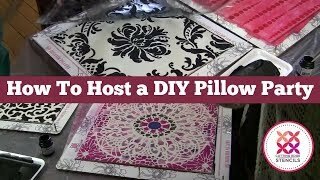 DIY Designer Accent Pillows Made Easy! 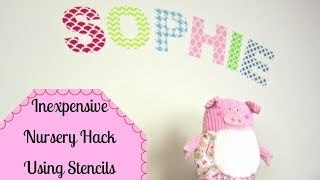 DIY Nursery Project Using Letter Stencils For Baby's Name! 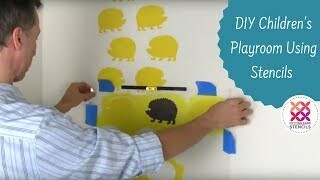 Using Chalkboard Stencils For A Nursery Makeover! 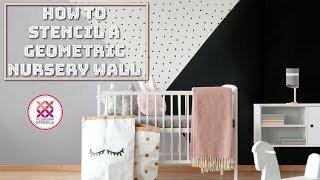 How To DIY The Perfect Nursery Room With Trendy Letter Stencils! 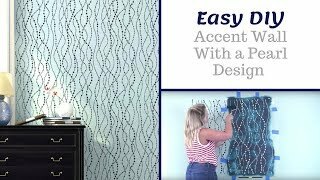 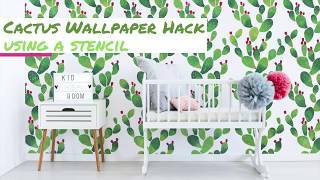 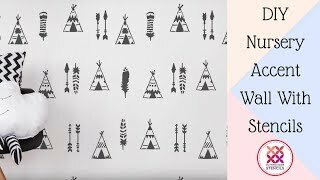 How To DIY a Teepee Nursery Accent Wall Using a Tipi Stencil! 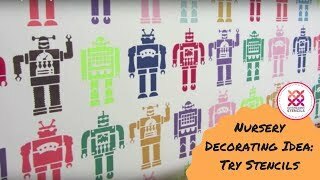 Nursery Decorating Ideas with "Robots Allover Wall Stencil"